Your gift of $48, combined with 9 other shares can provide a Knitters Gift Basket to someone in need. Heifer International's Knitter's Gift Basket includes a llama, an alpaca, a sheep and an Angora rabbit. Your gift for knitters also ensures families are instructed on how to properly feed and care for the animals. 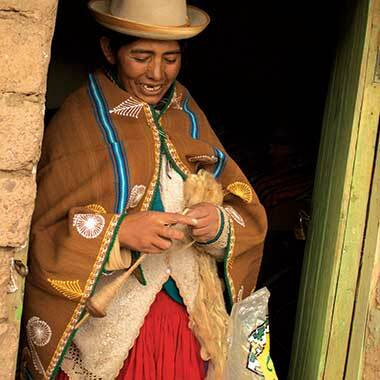 These four animals included in the knitting basket provide families with ample wool for warmth, as well as a source of income. Your donation of a Knitter's Gift Basket represents an opportunity for a better life.